I always wondered, why life has lot to give to us when least expected. Is it its own way of testing one’s response? In any case, this movie gave an insight as to how situations pan out which are very different from one’s dream. 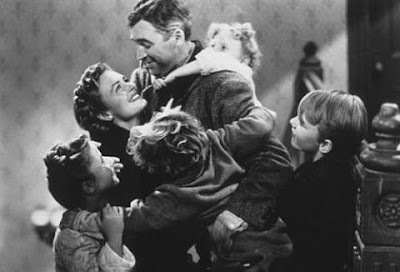 This is a story of George Bailey (James Stewart) and his altruism. He always dreamt of traveling places. However, due to his sudden death of his father, his plans had to take a back step, instead he takes over his father’s loan and building company. Mr. Potter’s (Lionel Barrymore) malicious intentions are always cut short by Bailey’s love and affection for his town and the people. Few days before Christmas, disaster strikes and some part of company’s money is lost when Bailey’s uncle was depositing in the bank. Mr. Potter who was well aware of the possible consequences would hide the money. Fearing about his company shutdown for the loss of money, a frustrated and clueless Bailey contemplates suicide. His years of goodwill ensured, an angel named Clarence who wants to earn his wings comes to earth. He shows Bailey how his town was if he hadn’t been born. The town would have been in shambles under Potter’s reign. His family members are either dead or led a life of misery. This probably made Bailey understand the positive impact he had on people’s lives and did re-consider his suicide and also realize what a wonderful life he has had. He did want his life back and more than ever, he wanted to live again. 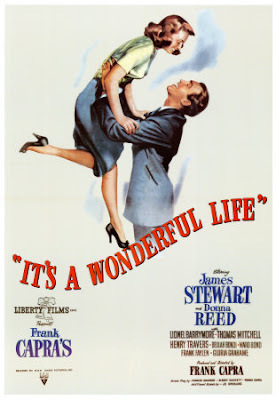 This was the first movie I had seen of James Stewart and also that of Frank Capra. This was starring debut for Donna Reed who plays Mary Bailey. Movie has many claims, and is widely rated as one of the top films never to have won Best Picture Oscar only behind Shawshank Redemption. On technical front, this film did innovate a unique method of creating snowfall. 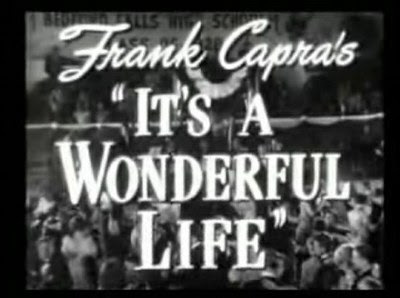 Released in 1947, this movie will go down as one of all time classics not to have won any Oscar. Personally, this movie was one of the first Black ‘N’ White movies I had seen as a college student. It did have a positive impact on my life then. 4 years hence, I still feel the same vibes when I think about this movie. The Last scene when Bailey’s daughter is very apt looking at the situation he had to deal with the angel. 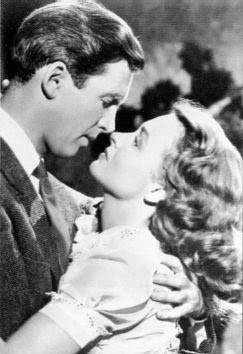 George Bailey: That's right, that's right. Attaboy, Clarence.